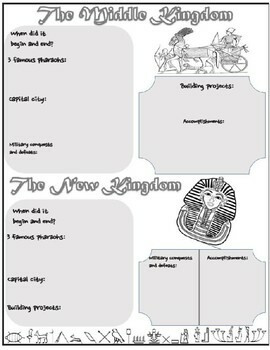 My students use this notes page when learning about Narmer and the three Egyptian kingdoms. 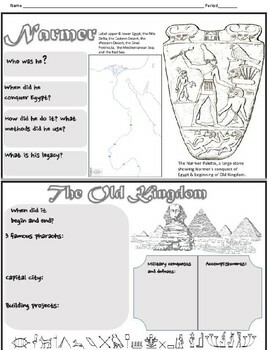 It can be used when a group is presenting information or the students can research the information or use their textbook. The drawing keeps them engaged.